Urgent care Van Nuys residents can expect is often impersonal and rushed, as they wait in their local clinic to be seen and only manage to get 15 minutes or less of the actual doctor's time after waiting to see him or her for much longer. However, the urgent care Van Nuys deserves can be found from House Call Doctor Los Angeles, a mobile medicine service where the doctor comes to you instead of the other way around. While medical house calls may seem like a relic of the past, people who want urgent care in Van Nuys often call for Dr. Farzam's services because they know he provides outstanding, highly personalized 24-hour urgent care. 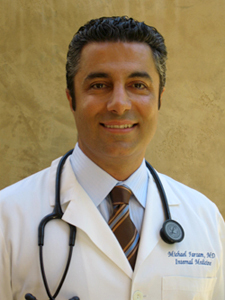 In fact, Dr. Farzam has won praise from his many patients. They appreciate not only his medical skill, but his professional and friendly interaction with them when they are feeling ill. Obtaining quality urgent care in Van Nuys and throughout the Greater Los Angeles area can be a hassle. However, with the help of a top notch medical concierge doctor, the process can be far less daunting. Many patients are thrilled to know there are alternatives to large, impersonal medical clinics, and it's found with House Call Doctor Los Angeles. These services also are far more reasonably priced than you might ordinarily assume. If you think you'd prefer the care of a mobile doctor instead of a trip to the ER, call House Call Doctor Los Angeles at 310-849-7991 today or visit the House Call Doctor Los Angeles contact page.